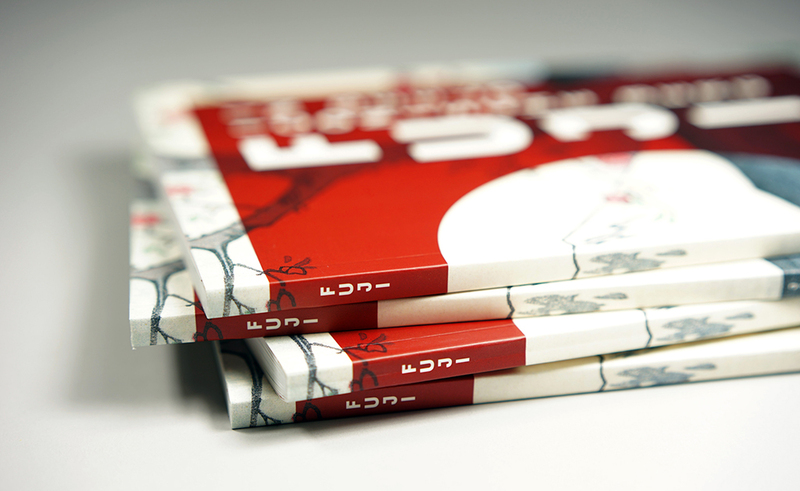 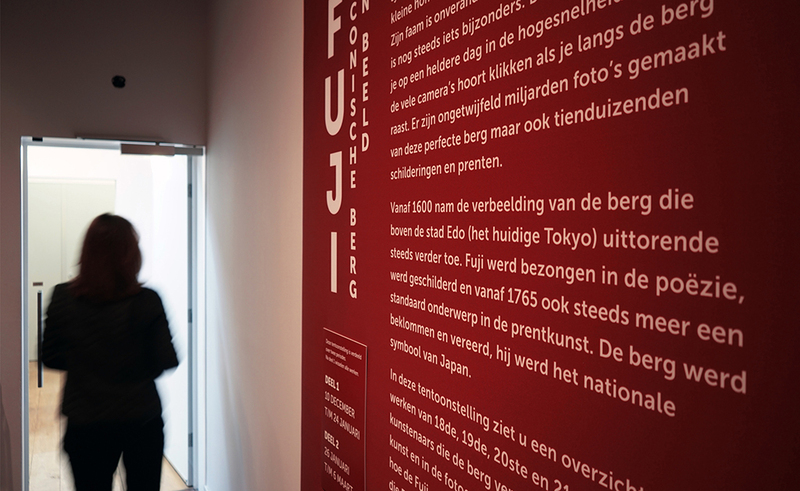 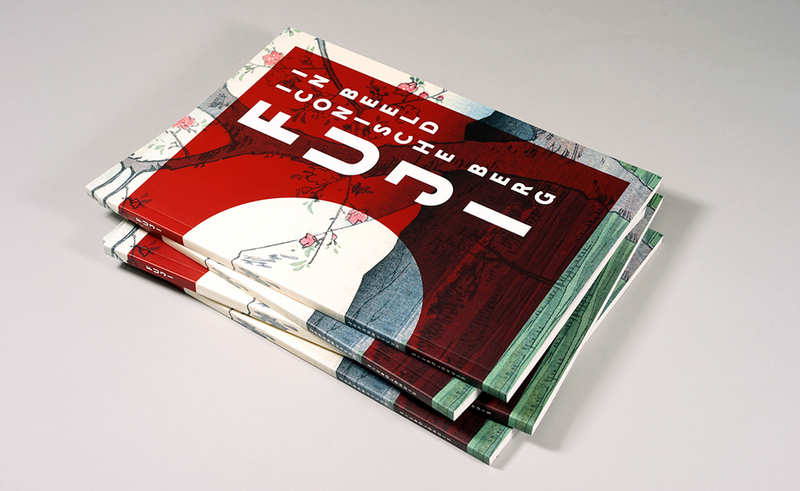 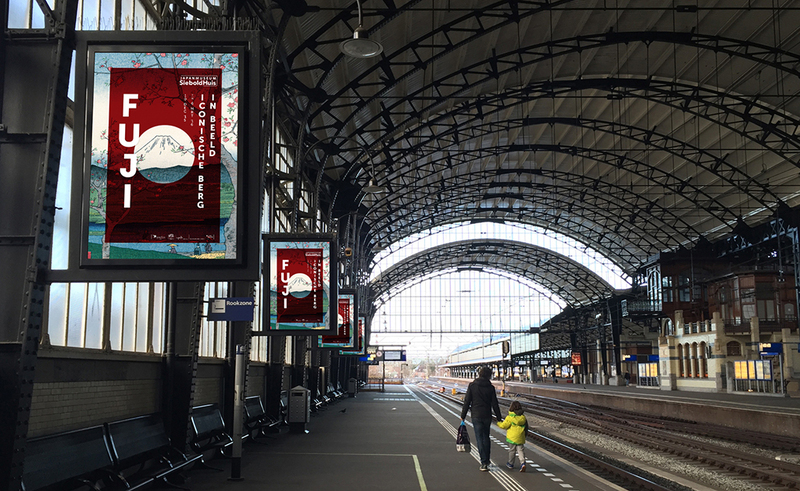 For the campaign at the exhibition ‘Fuji, iconische berg in beeld’ (Fuji, Images of an Iconic Mountain) in the Japan Museum SieboldHuis, Beukers Scholma graphic designers used a cliché: the one of the rising sun. 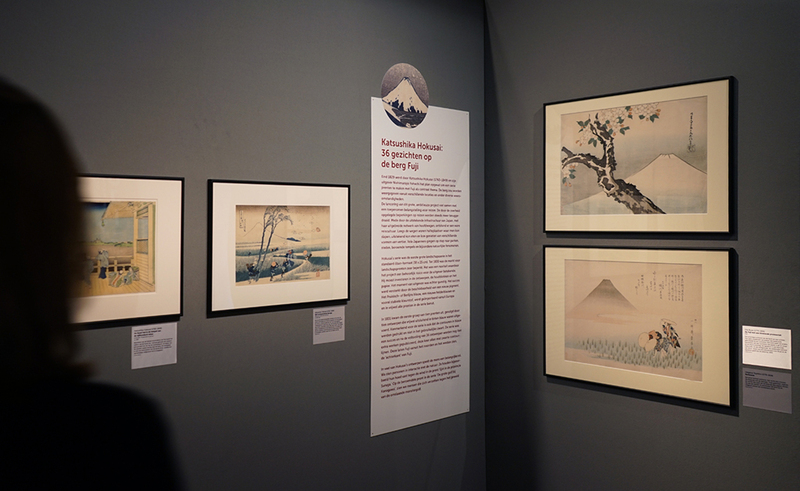 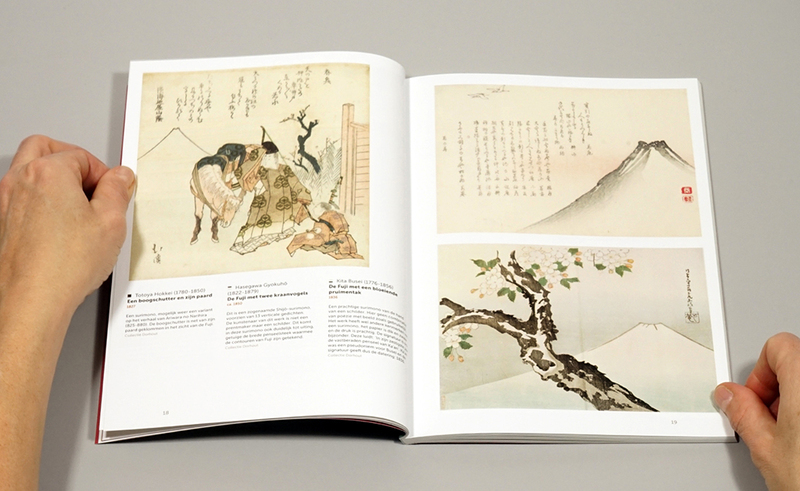 In their landscapes, Hiroshige and Hokusai – to whom the two-part exhibition is dedicated – usually depicted the sacred Mount Fuji as a small mountain in the background. 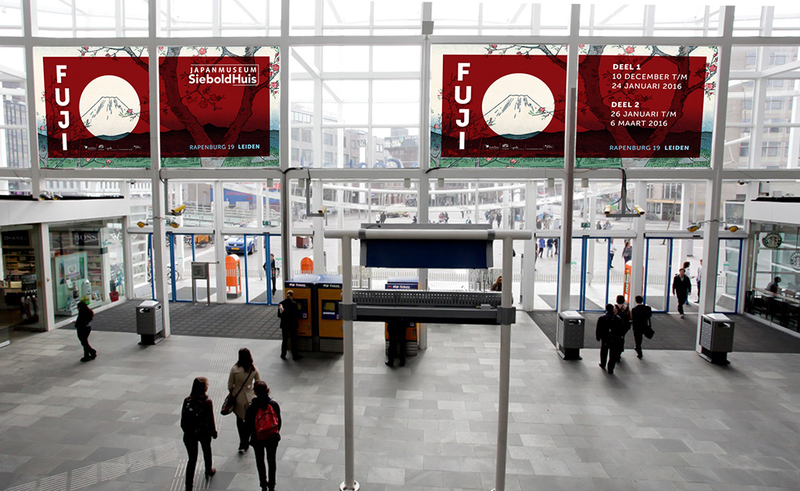 Beukers Scholma, on the contrary, put Mount Fuji central and zoom in on it. 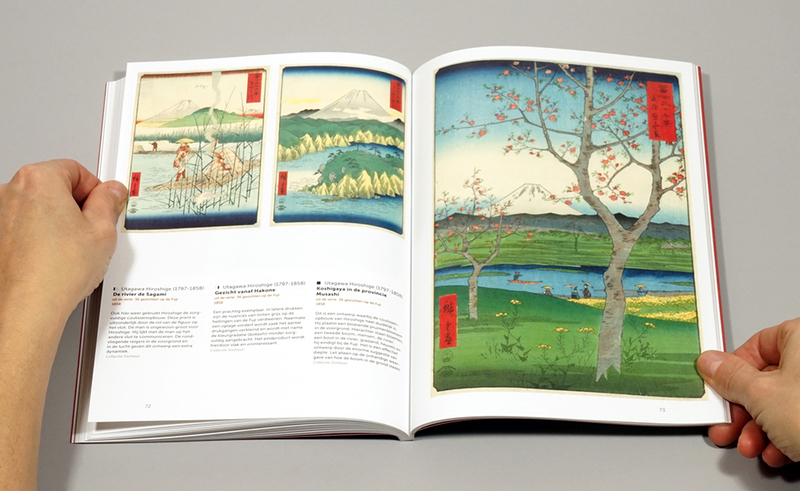 They used the familiar red circle on the Japanese flag as a diapositive, making it a kind of porthole overlooking the mountain. 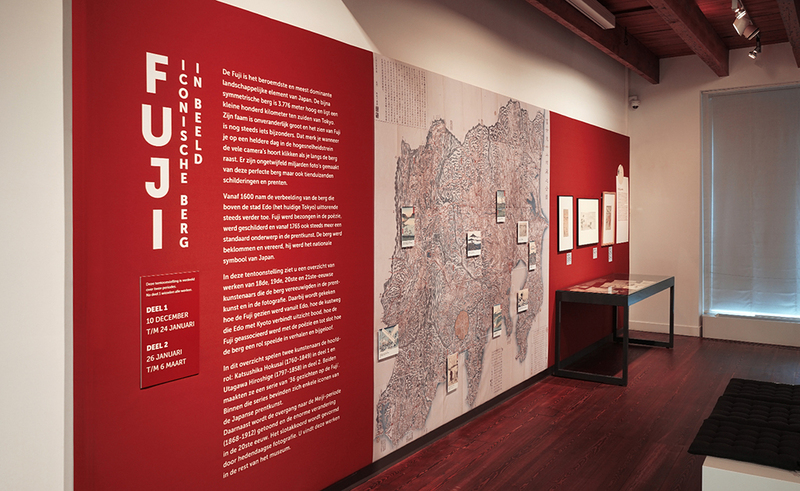 The color red, which is not entirely opaque, lies across the woodcut as an additional ‘print pass‘. 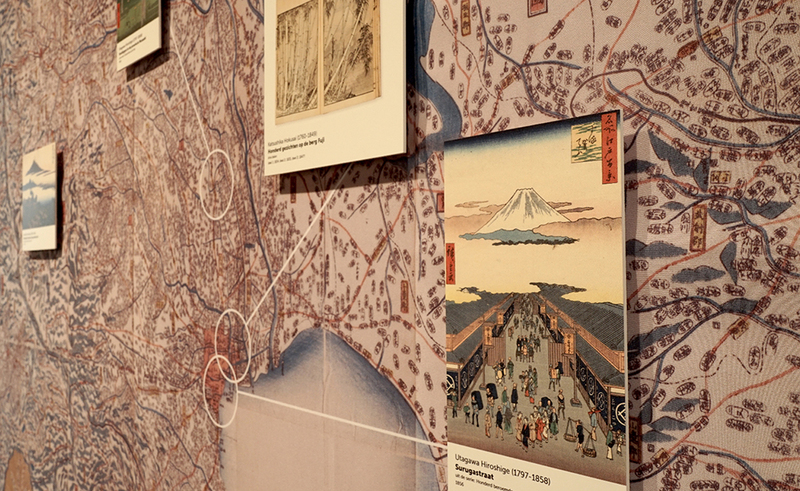 A subtle wink to the ancient art of wood block printing.